Cleaning and I have a complicated relationship. Of course, I understand that it needs to get done. I try to clean everyday, even if it’s only five minutes per room, per day. There are certain things that I do tackle daily and other things that I tackle weekly. Is it my favorite thing? Absolutely not. But, at the same time, I also can’t stand clutter… and I’m a bit of a control freak and a recovering perfectionist. Cleaning is also one of those things that just needs to get done, no matter what. And that’s why I’ve come to rely on easy everyday cleaning tips to turn sometimes overwhelming tasks into manageable bits. According to a recent survey by home cleaning experts, over half of Americans admit that they feel a sense of accomplishment after cleaning their homes-even though they don’t necessarily like having to houseclean. The good news is cleaning doesn’t have to be laborious or take loads of time. Keep dirt and grime from accumulating. Did you know that 85 percent of all dirt that comes into the home is on the bottom of shoes? By placing mats at the entrance of your home so people can wipe their shoes, you’ll reduce the amount of dirt coming in-and the amount you’ll have to clean later. Have all of your cleaning supplies nearby while cleaning. This will shave time off your cleaning routine, because you won’t have to stop to retrieve missing tools or products. A cleaning caddy, five-gallon pail, cleaning apron or laundry basket can all be used to transport cleaning supplies from room to room (and they make great storage containers). Carry a few damp cloths (which can be used to clean 90 percent of the surfaces in your home) over your shoulder to save time running back and forth to the sink. Hang smaller cleaning supplies from your belt or the vacuum, or put them in your pockets. Look for products with “two-in-one” benefits. For example, glass cleaner with disinfectant can be used on a variety of surfaces, thereby eliminating the need for multiple spray cans (and the time to fumble for them). Clean from top to bottom. Dust and dirt fall to the floor while you clean, so start at the top to avoid having to reclean lower areas twice. For the same reason, always dust first and vacuum last. Don’t clean what’s already clean. You can shave hours off your routine by cleaning only the dirty areas of furniture, fixtures or appliances, and shining the rest of it with a slightly damp cloth. Get the whole family involved. Assign everyone in the family a particular cleaning chore (for example, vacuuming, dusting, trash removal, sweeping) and have each person complete his or her task in each room of the home. When everyone helps in an organized fashion, the house can be cleaned in practically no time. A house cleaning schedule is your first step towards an effortless cleaning of your home. Although each person has his or her own idea as to what a house cleaning schedule should be like, it is generally agreed that a systematic and coordinated approach will produce the best results. There have been much advice from various professionals as to how a house cleaning exercise should go about but it will be best if you keep to your own ways of doing things. Decide which plan works best for you and keep to it. After all, not all homes have the same architecture, so obviously cleaning will differ from home to home. The first step is to decide on what needs to be done. Begin with the most difficult and complex job and progress to the less mundane ones. This way, you would have expended the much needed energy on the big jobs and by the time you get tired, it is only left with the small jobs to be done. Another reason why you should begin with the big job is that, in the event that something happens or you get tired, then someone will be more wiling to assist because they will not have much left to do. Group your activities into manageable parts. For example you can put your cleaning activities into three categories: washing, wiping or dusting. This way, you can do all the activities that involve washing from room to room and then go to the ones that need wiping. Keeping this kind of schedule will enable you to work faster and comfortably. Keep your schedule flexible so that should there be any change of plan, the schedule will be able to accommodate it easily. Keeping a household cleaning schedule is your surest way to accomplish more in less time when it comes to giving your home a new look. My newest favorite cleaning tool? 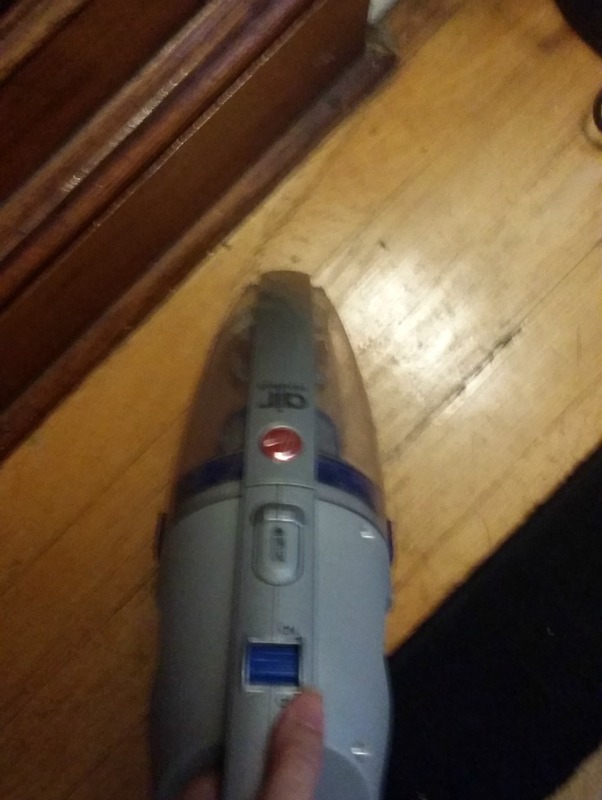 My Hoover Cordless vacuum. 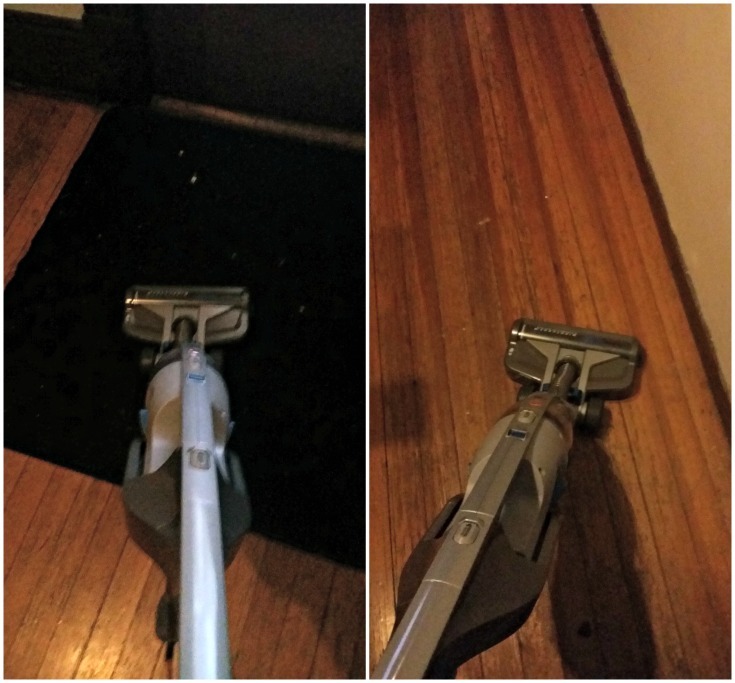 With the simple roll of the switch, I can go from carpet to hardwood floors easily! 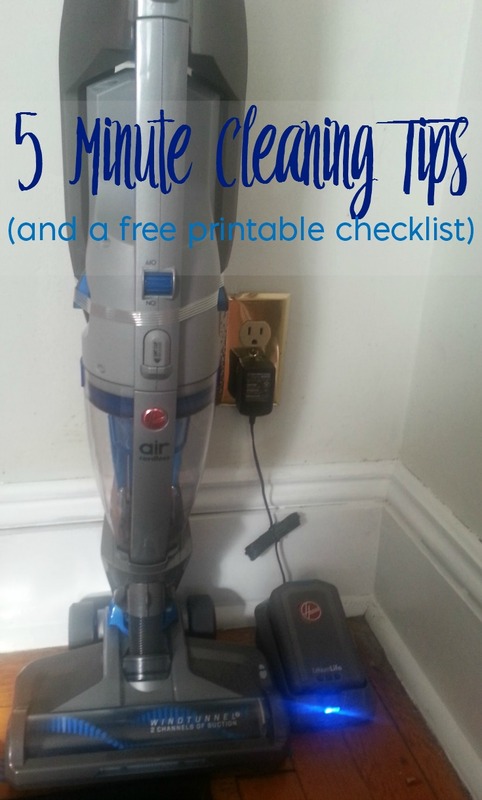 Grab your free: Easy Everyday Cleaning Tips printable and let me know what your favorite cleaning tips are in the comments!